how does the fiscal cliff effect real estate? 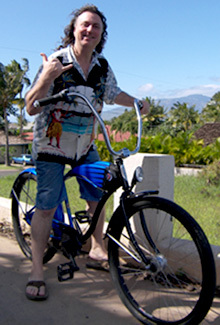 How does the fiscal cliff effect real estate in Hawaii and Especially Maui? Just when you never wanted to hear the words “Fiscal Cliff” again, I thought I would make a post with the changes in the law that affect property owners in Hawaii. This information was compiled by the National Association of Realtors and includes quite a bit that might effect values on Maui. Mortgage cancellation relief is extended until January 1st, 2014. This is for people doing short sales and not wanting to be taxed on the amount shorted to the bank. Deductions for mortgage insurance premiums for filers making under $110,000 is extended through 2013 and is retroactive for 2012. This one affects ALL homeowners, the energy efficiency tax credit of 10% (up to $500) was extended through 2013 for improvements to EXISTING homes. Capital gains rate: This stays at 15% for those making under $400k/$450k. After that tax rate is now 20%. The $250k/$500k exclusion for the sale of a single family residence stays in place. Estate Tax: The first $5m in individual estates and $10m in family estates are now exempt from estate taxes. After that the rate is 40%. The market here in the Kihei, Wailea and Lahaina area has picked up considerably, and thanks to our amazing team we again had an stellar year helping many families buy and sell homes. 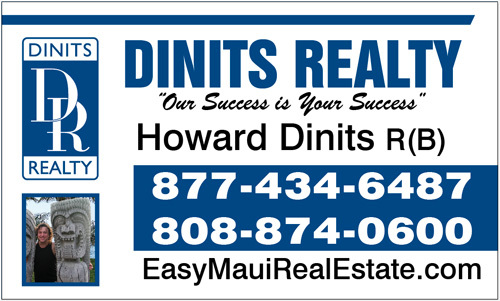 If you are looking to buy or sell a home in Hawaii please give us a call today at 808-874-0600.